Geeking out with Erik yesterday was pretty fun, and I look forward to doing it again in the future. The game we played, called Federation Commander, was a bit more high-tech than I was anticipating. Using laminated cards and dry-erase markers rather than pencils and paper, the game was playable "out of the box" and required no tedious setup at all. (Well, not tedious for me, anyway; Erik was tasked with explaining the somewhat-complicated mechanics of the game to me. Over and over again, because I couldn't follow them at first.) To a newbie like me, this type of game is frighteningly complicated, but the complicatedness dissolves once you see how it all works. By the time my Klingon ship had Erik's Federation ship in tatters, I was beginning to feel at home within the universe, and think that I'll have even more fun next time we do it. One of the things that really amused me is that Federation Commander, a game emblazoned with familiar Star Trek language and iconography, is not actually licensed by the Trek people and doesn't actually say Star Trek on any of the materials anywhere. All the game materials, however, do proudly proclaim that they're copyrighted, daring anyone to use them without permission under threat from lawyers. That takes balls. I tried to take photos to "document" the game, but quickly found out two things: 1) I needed to pay attention to the game, and b) it's very much a "you had to be there" game. Little cardboard squares on the cardboard map of the universe do not really make for entertaining photos. You can see for yourself, though. After Erik surrendered to me (the luck of the dice), we went to lunch and had geeky conversation. Then we geekily looked through some Ruby on Rails projects he's working on, and then played a little bit of that game Crysis I've seen on digg a lot lately. I sucked at it, but it looks pretty awesome. Maybe they'll make it for the Wii so I can play through it. There was also much iPhone discussion, and we played with my OLPC a little. Throughout the day Erik's wife Monica brought us delicious snacks that were decidedly non-geeky. Yummy veggies, spinach hummus, hot tea; nary a Dorito or Mountain Dew to be seen. Thank goodness :). Captain, there's something over he-- Arrgggg! On Friday I was at my girlfriend's apartment while she was at work and wanted to find something to watch while I consumed my leftover pad woon sen. I flipped on the tv and began trying to navigate the fancy digital cable menu in order to find something to watch. This is very difficult for me. See, I rarely ever watch tv in realtime. All the programming I view is handily recorded for me by MythTV for viewing whenever I feel like it, so hardly ever do I find the need to find something "right now" to watch. 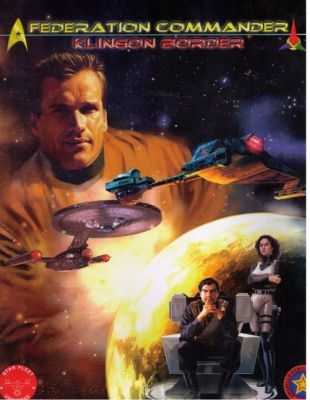 In any case, after figuring out how to page down through the guide, through all the shopping channels and the sports channels and the spanish channels and the gardening channels and the spanish gardening channels, I finally happened upon Star Trek The Next Generation on SpikeTV, and clicked on it. Then I clicked a few more different buttons, since the one I first clicked had no effect. Eventually I got to Star Trek, and was greeted by an episode that was about half over. Everyone was on the bridge trying to solve some quandry, and it looked very Trek-like, with one exception. Some random black guy was sitting where Wil Wheaton should have been sitting. He had dialog, and people were referring to him by name and everything. "Huh, I wonder why that guy is in Wil's chair, doing Wil's job," I thought to myself and shrugged. I ate some more of my food and the show went to commercial. After coming back from commercial, Mystery Black Guy had some more lines and did some more of Wil Wheaton's job, until disaster struck. He died, strangled to death by some giant mysterious non-corporeal green guy in the sky who, as it turns out, had been doing maze/rat type experiments on the crew the whole episode. Suddenly I remembered an unwritten Star Trek rule: if you see a guy in a red shirt that you've never seen before, he will die before the end of the episode. I had heard people joking about that, but don't have any memory of actually experiencing it before. The most amusing part of the whole thing is that immediately after Red Shirt Guy died, Wil was back in his seat doing his job. Maybe he was on a lunch break?